Desk.com is a fantastic cloud based service that will allow your site, project, product or business to receive professional grade customer support that will integrate itself into every major social network. This will allow you to reach much more of your customers, provide quality service, and respond to all of their requests with instant solutions. The Social Help Desk! Desk.com supports buisnissess of all kind, from multinational companies to small startups that don’t have IT staff. Simple, fast and reliable. 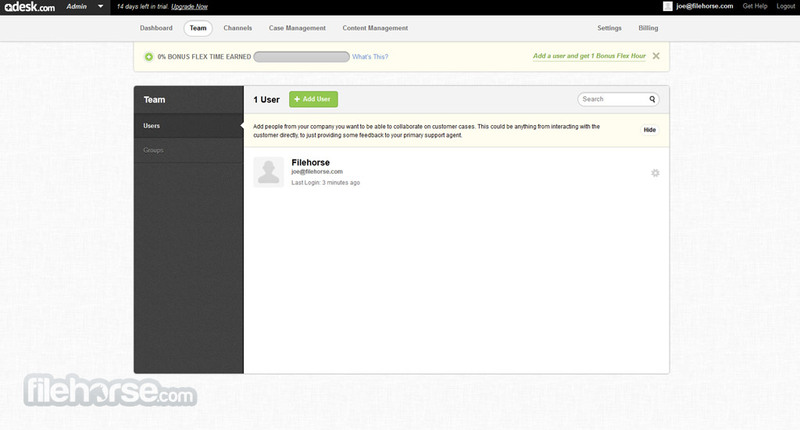 Industry-leading CRM package for startups and fast growing companies! If you are a small or medium size company that is experiencing growth and large expansion of their customer base, sudden intake of customers who want to contact you and find answers to their question can sometime wreckchaos in your finances, job management, and your ability to maintain customer satisfaction levels above acceptable limits. Many companies that find themselves in that situation turn to some of the pre-made online solutions that can provide easy access to all the most needed tools for managing professional online relationships with your customers. Desk.com is one of those solutions. Established in 2009 by the founder Alex Bard, this great service had a goal to assist businesses in delivering simple, social, mobile and intuitive customer service that can be controlled from one interface, but can be shared across as many customer relations employees as your company demands it. If you want to learn more about this great customer relation online service, continue reading. Desk.com is one of the most popular and widely used online services for managing your customer service relations with all the tools that you would ever need to keep your website visitors engaged, satisfied and grateful for quick solutions of all their problems. Originally known under the name Assistly, Desk.com achieved its greatest successes after it was purchased by large cloud computing company Salesforce.com that is known for its excellent suite of Customer Relationship Management services. 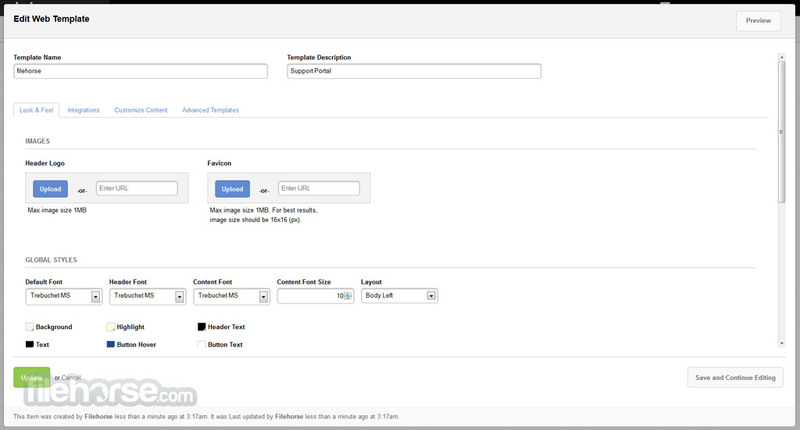 After just a few minutes of using Desk.com you will realize how streamlined service it manages to pull off. One centralized dashboard is responsible for all your channels of communication with your customers, including integrated support for Facebook and Twitter, two social networks that most of companies have rarely used for in their homemade or old 3rd party CRM solutions. With all of your customer data arriving in one dashboard, you can have instant overview of all your customers, case management that showcases most pressing cases that you need to handle right away, great productivity tools that can help you automatize many task with pre-recorded common answers for common questions, and even a profiler of all your customers that enable you to see history of your interactions with them and all their case histories. The Social Help Desk! And off course, Desk.com also supports creation of powerful self-service centers that can help your customers to solve their problems by themselves, never contacting you for assistance. Interface of Desk.com is really one of the best when you look at all the competition in the customer relation management field. Here you can get access to all the tools, all the analytics, Knowledge Base builders, self-centers, integration into other Salesforce services, APIs, and community support features from one central interface. In its most basic package, Desk.com supports 3 active agents that can, if managed properly, service really large amount of customer request on daily basis. Premium level of service unlocks many more additional tools in your dashboard, never loosing accessibility or becoming too overcrowded with tools. There are two premium service tiers of Desk.com. Basic level costs $3 per month and gives you access to 3 agents, basic tools and features, and limited amount of access to multi-channel support (only 1), case management and history of reporting. Much more expensive Plus Plan costs $29 per month per agent, with all the tools and features opened to you and zero restrictions on many of its features (number of agents, multi-channel support, case management, reporting). You can hardly find better customer relation solution for newly formed, small and medium size companies than Desk.com. It has all the tools that you will need to keep all your customers satisfied, it will increase your productivity, and enable your employees to easily focus on solving the needs of each and every customer. 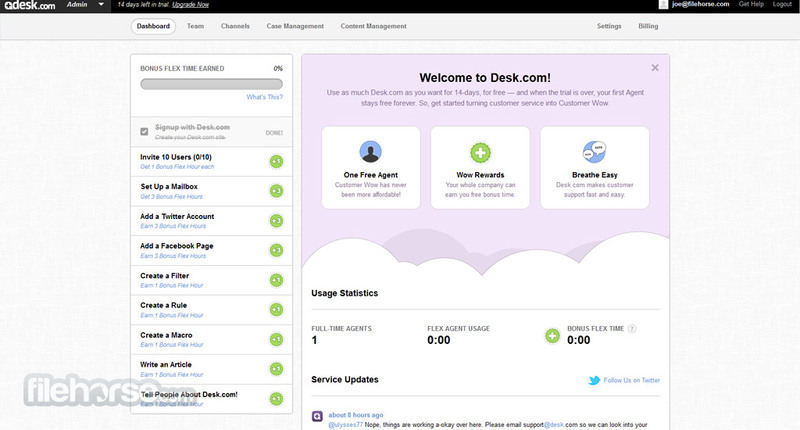 Desk.com is so simple to use that any company, even one without an IT staff, can get up and running in no time. It’s so intuitive that your team can get right to work without extensive training. The Social Help Desk! Manage your customer service system effortlessly with Desk.com Mobile. Give every employee in your company an “on the go” social help desk so they can support your customers any time, anywhere. iPhone, Android, and BlackBerry friendly. Any business can afford Desk.com. Your first full-time Agent is always FREE, and Flex Agents can use Desk.com as much as they want for only $1 per hour. Get started for free with no commitments.